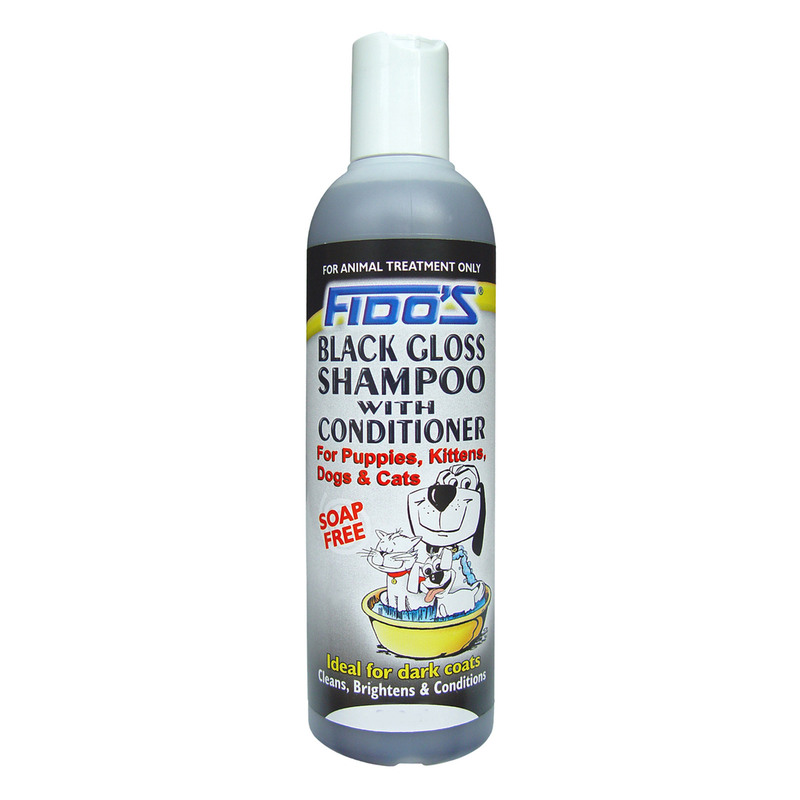 Fido’s Black Gloss Shampoo with conditioners is enhanced body wash for puppies, kittens, dogs and cats. This soap free is an excellent formula for dark coats. It cleans, brightens and conditions pet. It soothes and deodorises while moisturising the skin and coat. The long lasting fragrance leaves pet refreshing. Fido’s Black Gloss formula is developed with a unique blend of colour enhancers, glycerol and silicone. These ingredients remarkably enhance colours on black and dark coloured coats. Wet pet’s coat with warm water and spread shampoo all over the body. Work up to lather and leave for five minutes. Rinse off with clean warm water and dry thoroughly. An ideal shampoo for use on pets with black and dark coloured coats. Fido’s Black Gloss helps cleanses and conditions dog skin. Rich in colour enhancers, the soap-free shampoo nourishes dark coloured skin. It is beneficial to be used in conjunction with long-term flea control treatments. Love this product. It works amazingly. Love to use this shampoo on my Charlie. It makes his coat lustrous and has a super lovely fragrance that lingers for long. I own a puppy who has black coat and I was in search for a product to keep his coat clean. Fido's black gloss was perfect choice for me! !